The German solar panel manufacturing industry is on its deathbed and nothing will revive it. The ~12% anti dumping duty imposed by EU on Chinese solar module imports will not help the industry. One of Germany’s biggest solar system integrators/installers SAG Solarstrom has said that the company will not use German made solar panels despite the duties. The reason according to SAG’s CEO is that the German modules are priced too high, for the better quality they might offer. SAG will start procuring solar panels from South Korea and India to offset the impact of duties on its solar system prices. German solar company Solarworld which has been at the center of the EU-China dispute is also in deep trouble. The company lost more than 450 million euros last year and has become a marginal player on the world stage. The company’s factories are situated in high cost locations and it does not have enough differentiation to justify high module prices. The company is also too dependent on Europe where the demand is mostly saturated now, with Germany and Italy both expected to see a drop in 2013 demand. Solarworld is now mostly banking on the super gas rich Qataris to help them get a financial bailout. The company’s debt holders will take a big hit while the equity holders should be mostly be wiped out. The other big German companies with solar operations like Siemens (SI) and Bosch have already closed their operations or are in the process of getting out of solar energy right now. Both Bosch and Siemens are taking billion dollar hits on their solar ventures. Bosch which is one of the biggest automotive component suppliers on the planet has made one mistake after the other in the solar panel market. Despite entering the solar panel market 4-5 years ago with billion dollar acquisitions it did not figure even in the top 20 global solar panel manufacturers. The massive solar panel price crash in 2011 has made most German solar companies either bankrupt or on the borderline. Bosch Solar Panels has been no exception as German solar panel costs are too high for the current prices. It had decided to expand in Malaysia to compete with the super low cost Chinese solar modules following in the footsteps of companies like Q-Cells and First Solar. Read the complete story here. Siemens which is the world’s largest green company has been facing a slowdown in revenues and profits in recent time as the whole green industry is suffering from overcapacity (wind, LED, solar). Now the company plans to completely get out of solar by selling its solar business – Solel Energy. 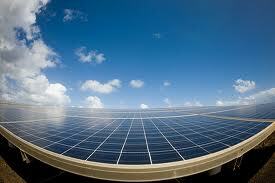 Siemens was facing lower margins and revenues had strategically decided to retreat from solar energy. Siemens was strong in solar thermal energy technology, after it bought Solel Energy. However, the company was not getting any traction or big orders as solar crystalline panel technology stole a huge march through dramatic cost reductions. It also deserted the Desertec project.